Just a four hour drive from the northern city of Hanoi sits one of Asia's most beautiful landscapes. 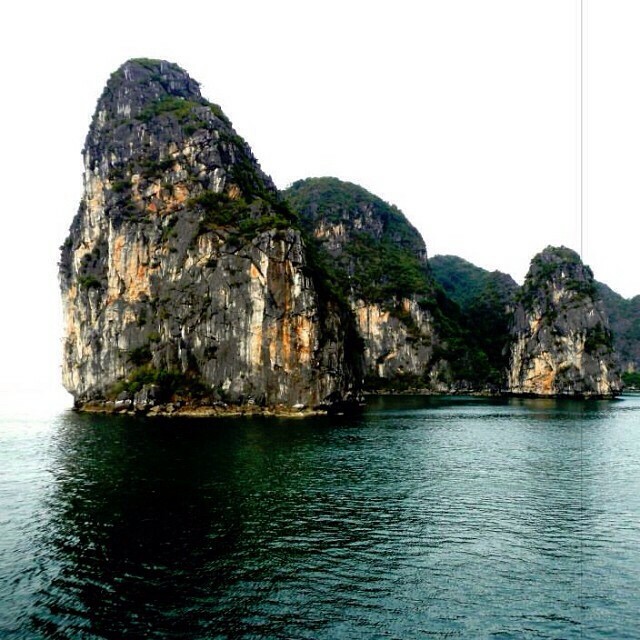 It almost doesn't make sense for a traveler to spend time in Hanoi, and not visit Halong Bay. That's why most of Global Basecamps' customized Vietnam tours include at least a one night stay on the bay. Recently, one of our Travel Specialists took a much deserved leave of absence to depart on his own round the world adventure. He has been sharing his travel photos with us, and has graciously allowed us to share some of his experiences to you via our Instagram. This past week, he was comfortably esconced on a traditional boat cruise through this beautiful karst landscape. A cruise on Halong Bay can be a welcome, relaxing break from the hustle and bustle of Hanoi. Days on these traditional Chinese junk-style boats include morning yoga sessions, beautifully prepared sea food meals, kayaking through the Bay, and finding quiet nooks away from the other vessels on the water to take a dip in. Enticed yet? One of our Travel Specialists is on hand to prepare a quote for your custom Vietnam adventure.